Memphis, Tenn. – Tennessee Gov. Bill Haslam, U.S. Sen. Lamar Alexander and Department of Tourist Development Commissioner Kevin Triplett, officially dedicated 10 sites in Tennessee as part of the newly-launched U.S. Civil Rights Trail. 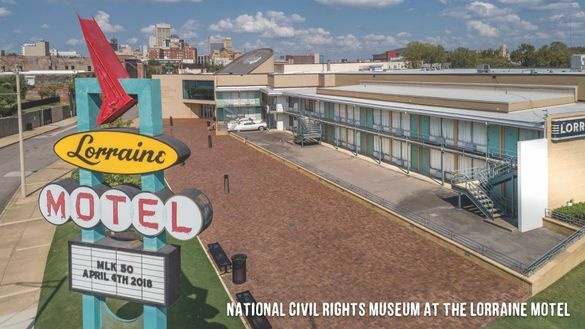 The announcement was made during a press conference at the National Civil Rights Museum at the Lorraine Motel in Memphis. The U.S. Civil Rights Trail is a collection of churches, courthouses, schools, museums and other landmarks primarily in Southern states where activists challenged segregation in the 1950s and 1960s to advance social justice. State tourism agencies, in partnership with Travel South USA, worked together to launch the trail January 15th, highlighting more than 100 sites in 14 states. The 10 sites featured on the U.S. Civil Rights Trail in Tennessee are the National Civil Rights Museum at the Lorraine Motel, Clayborn Temple and the Mason Temple Church of God in Christ in Memphis. Locations in Nashville include The Civil Rights Room at the Nashville Public Library, Clark Memorial United Methodist Church, Davidson County Courthouse & the Witness Walls, Woolworth on 5th, Fisk University and Griggs Hall at American Baptist College. In Clinton, The Green McAdoo Cultural Center and Clinton 12 statues help tell the stories of twelve brave students who changed history. The U.S. Civil Rights Trail brings attention to existing sites, while new projects explain what took place in the past. Woolworth on 5th in Nashville, the site of the historic sit-ins and where civil rights leader John Lewis was arrested, reopened earlier this month as a live music venue and restaurant. Artwork at the Witness Walls shows Nashvillians taking action on school desegregation, lunch counter sit-ins, economic boycotts, marches, meetings and Freedom Rides. The website civilrightstrail.com profiles all 14 states and each landmark’s importance and features interviews with foot soldiers and heroes of the movement, offers an interactive map, past and present photographs and 360-degree video as special features. Tennessee Tourism developed a dedicated page at tncivilrightstrail.com with articles about each of the ten Tennessee stops along the trail, travel itineraries and a printed brochure. For more information and photos of the launch, contact Jill Kilgore, public relations media manager for the Tennessee Department of Tourist Development, at 615-927-1320 or by email at Jill.Kilgore@tn.gov.